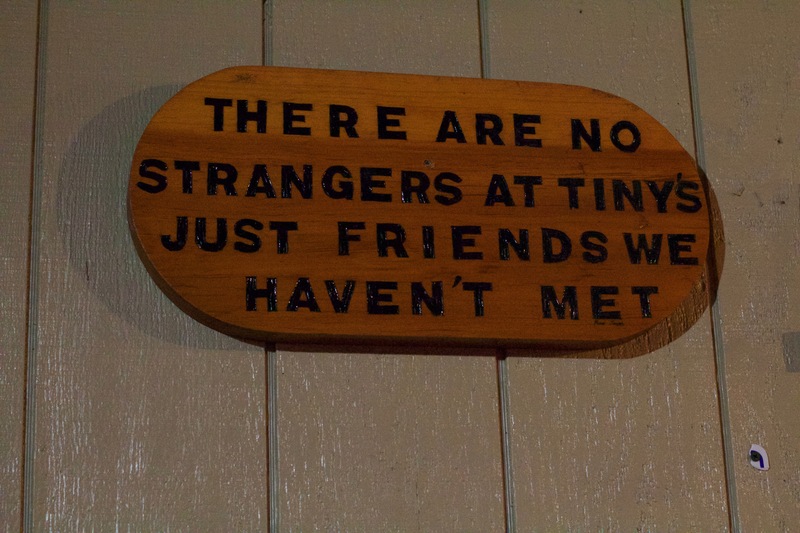 Tiny’s Saloon & Steakhouse is a place that welcomes you in the moment you walk in. The ambience is reminiscent of the Old West, back when cowboys still rode around the desert. Seen in the decor which is composed of animal skulls, wood detailing throughout the walls and carvings onto the bar. An especially eye-catching touch is an old-school carriage stationed outside to accentuate the theme. With about 18 tables and 14 stools placed throughout the restaurant with alternating blue and green red chili pepper tablecloths, the restaurant seats about 140 people. 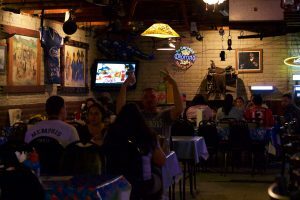 Current owner Veronica Salinas inherited Tiny’s after her late brother purchased the restaurant from original owner Tiny Denniston and his wife, Marry, in 1998. Tiffany Martinez, a Tiny’s bartender for 12 years, spoke fondly of the change in ownership. Though the ownership has changed, the menu has remained consistent: Steaks, burgers, combination meals and an array of appetizers, salads and sandwiches. Another standout is the 16 different wing flavors to choose from. A dozen wings costs $10.75. The original and authentic flavors include mango habanero, garlic parmesan and cilantro lime among others is what drives guests to purchase them regularly making them one of the most popular and recommended dish items to order. Another popular item is the half-pound Famous Steerburger for $8.95 that comes with a big juicy beef patty with lettuce, tomato, onions, pickles and your choice of cheese accompanied with a side of french fries or coleslaw. The servers make you feel like part of the family by constantly checking in to see if there is something that you might need but also by sprinkling you with questions to get to know you. It is so much more than customer service at Tiny’s. It is about entering as a stranger and leaving the restaurant as a member of their community. The outdoor seating provides a relaxing place to unwind as the desert mountain views backdrop the meal. Tiny’s prides itself on being a family restaurant where families can get away and enjoy a nice meal together. Besides families, a multiple of TVs airing professional sports also attract an assortment of regulars. The relationship between the staff and the regular customers is a surprising one, especially when they are incredibly busy. “(The regulars) will fill ice and bring clean cups up to the front when there are not any out,” Martinez said. It is a tight-knit bond that has formed over the years between the regular customers and staff, which is not something that is commonly seen in restaurants. One of the most popular nights of the week is karaoke nights from 8 p.m. to midnight Fridays. Fridays also features the beer-battered cod and city brew fries for $10.95. Besides the amazing food and atmosphere, Martinez noted the best part about going to Tiny’s. 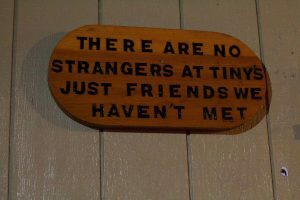 “There are no strangers at Tiny’s, just friends we haven’t met,” Martinez said. It’s a sentiment that’s engraved on a plaque that can be seen as you enter the restaurant.